The Official Tribe of Jordan is a place for you to gather and share your knowledge, tips, trips and events all having to do with a place you love. 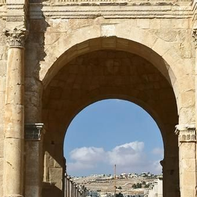 Join a community of avid travelers and experts who share your passion for Jordan, and become a part of the conversation. Is there a limit on the amount of JOD that can be brought into the country? Is there a limit on amount of US dollars brought in? There is a currency limit of $10,000. My wife and I live in Tajikistan and are considering a weeklong visit to Jordan. We are looking for a tour company. Do you have any recommendations? I think to contact someone in Jordan via e-mail is best, not to try setting something up here, since we do not speak Tajik or Russian. Hi. Do you also help process tourist visas for Philippines passport holders based in Hong Kong? Thanks. Visa's were processed on arrival in Jordan , you should verify it is the same for Phillippines but from what I find it seems that you also get on arrival. Visa's are normally processed upon arrival to the country you are going to visit, ie: Jordan. The easiest way to verify is to contact Jordan's Consulate in your country of residence or contact the visa department in Jordan. I hope this helps. We can handle the processing of any visa for any country. Please provide more details. Looking for a group tour in Jordan, Jan 16 - 19, Any suggestions on a group tour at that time. We just ran a group tour for corporate executives of Hess Oil. We can set up a group tour for you as well. Please provide more details. We always take cash out of an ATM from our debit card, in the local currency. We paid for our Visa and the entrance fee to Petra in Jordanian Dinars. Hope this answers your questions!